A shocking event has been shaking Athens since some hours ago. A woman threw her little daughter out of the fifth floor balcony. Then she undertook the severe act of suicide, by jumping herself from the balcony. The tragedy took place this afternoon at Prokopiou Katsantoni Street 10. 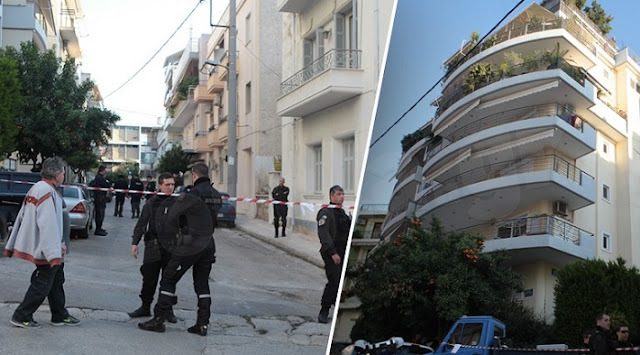 Kyriaki Tsortanidou, 42, and her four-year-old daughter, Fotini Spyridaki, were transported by the ambulance to the Gennimata and Aglaia Kyriakou hospitals but found the death. Residents say the mother threw first her baby, and then got a chair and jumpedherself. Preliminary reports talk about the woman's psychological aggravation. She was married and her husband left the apartment a few minutes before the vicious event occurred. Neighbors said they were shocked about what they saw. According to the neighbors, the woman jumped from the fifth floor, though they begged to her not to do so.